Leading Malaysian racing driver, Jazeman Jaafar, had a huge grin on his face today after securing his first Formula Renault 3.5 Series pole position. His outstanding performance came at one of the championship’s trickiest tracks, the famed Monaco street circuit. The second round of the Formula Renault 3.5 Series has the prestige of being a support championship at the Formula 1 Grand prix, so Jazeman is under the spotlight of the F1 world and no better opportunity to show his skills on the race track. Qualifying in front of a huge crowd Jazeman proved his mastery of the street circuit with the fastest lap of qualifying and his first pole position, in his third season of racing in the FR3.5 Series. The PETRONAS Talent Programme driver arrived in Monaco full of confidence for the weekend and quickly showed his maturity as a driver, posting second quickest lap in the only practice session that the Series has at Monaco. With just 45 minutes of track time yesterday, before qualifying today the challenge is one of the biggest of the season, and one that Jazeman conquered today in fine style. The twisty, tight circuit in Monte Carlo demands that qualifying is split into two groups with 10 cars running in each session for just 25 minutes, adding to the pressure of putting in a strong performance. Championship position determined the group, putting Jazeman in the second group on track. With his team mate, Oliver Rowland, posting the fastest time in the first group Jazeman knew the lap time he needed to beat to claim pole. Heading on track this morning Jazeman immediately showed that he meant business by heading the timesheets right from the start. Despite challenges from the rest of the field no other driver was able to cap Jazeman’s lap and he jumped out of the car after the session with arms aloft, celebrating his first pole in the Series. 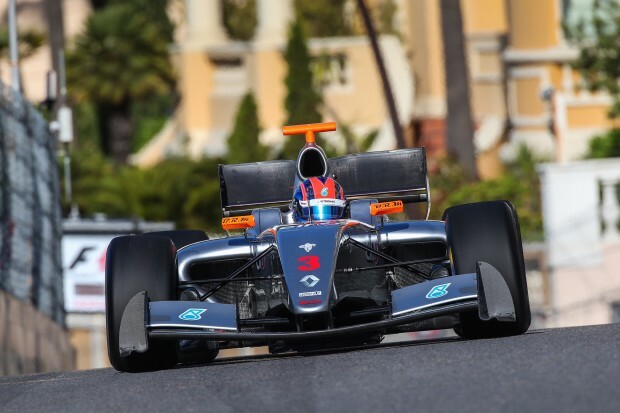 The Formula Renault 3.5 Series race in Monaco starts tomorrow at 11.10 local time, with live timing on www.worldseriesbyrenault.com and race highlights on Eurosport International (check local listings for time).